Nithu's Kitchen: Tell us about you Prani. Prani: I'm a post graduate in technology and was working in IT field. Now as a full time mom enjoying and experiencing the motherhood. Nithu's Kitchen: What are your interests apart from cooking? Prani: Reading, blogging & travelling are my other interests. Nithu's Kitchen: What are all the countries you visited so far? Prani: We got chance to visit most of the countries.The countries we have visited are France, Australia, Singapore and USA. Nithu's Kitchen: Wow! that is great. Share us an interesting incident that happened during your travel to other countries. Prani: Yeah, I have one memorable incident from our trip to Paris. We got a chance to visit Paris as my husband had one training session over there. The training place was quite far from Paris; the name of the place is "Aix en Province". So we had to travel almost 3 hours from Paris to Aix en province by train. Our trip was on x-mas season and so, we couldn't get our return ticket from Paris. So we thought of booking the return tickets from Aix en Province on the next day itself once we reached over there. We reached the hotel and checked in. The only problem in France especially in those remote places like this, no one knows English. They only know French which we don't. It is very hard to find an English-speaking person over there. The hotel where we stayed was 10 miles away from the railway station. So my husband asked receptionist to arrange the cab for our next day travel to the railway station. Somehow she understood that and arranged cab for us. Next day evening the cab came. It was a lady driver... We reached the station and bought the ticket. On the way back to hotel, we realised that she didn't have the credit card reader (Usually we use company credit card for all our expenses, so did not keep any cash with us) in the car and she didn't understand any single word other than French..We told her to go to an ATM. But she couldn't understand. We tried our best to communicate to her that we didn't have any cash with us, so go to an ATM. But no luck, she couldn't get it. May be she was thinking that we didn't have any cash with us and she may be feared that she wouldn't get her money for the trip.She dropped us in the hotel and told something to the receptionist. All were looking at us. Luckly the hotel manager who knew English came there. We explained our situation. He told the lady to take us to an ATM. But she was quiet angry and refused to take us to the ATM. She was keep on cursing us (we could understand that from her look & attitude). After a few minutes of conversation the manager paid the bill from his pocket and add the amount in our hotel bill.It happened because of the communication problem and we thought all places are same as USA.. After that wherever we go, we used to carry some cash along with the credit cards..Now we remember this as one of the funniest thing that happened on our trips so far. Nithu's Kitchen: That is quite interesting. Yeah, that is true every incident teaches us a lesson. When did you start to cook and who is your role model for cooking? 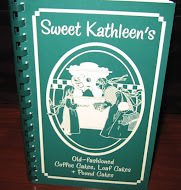 Nithu's Kitchen: Do you remember any story related to the very first dish you cooked? The first dish I cooked( i tried ) was Morru curry(curd and coconut curry). I still remeber that (happened during my school days) because it was a complete disaster..
Usually Amma prepare the dinner in the evening after she came from school(she was a teacher). One day I reached home early and I thought I could prepare something for dinner so that mom could take rest or we could go out for shopping ..
As I didn't try any thing before ( I didn't even come to kitchen except for tasting curries or drinking water), I was confused about the dish that I could prepare that day. Suddenly I got the idea of cooking Morru curry. I had been noticed that amma used to prepare this curry with in minutes..and the other reason was that it was one of my favorite curry with rice.But I didn't know how to prepare it. We didn't have internet at home at that time. The only option was phone. I couldn't call mom because i was going to suprise her. So I called my cousin sister but she was not there, aunt attended the call and she gave me the step-by-step details of the recipe..she also mentioned that do not boil the curry after adding the curd to it. I followed what she said. But at the end, I got confused about whether I would need to boil the curry after adding curd or not. I thought of calling her again but didn't... I boiled the curry and it forms lots of lumps. That was the worst curry i have ever seen in my life..When my amma came from school I explained all the story..she said its ok, by experience only u could learn cooking..Really that day i realised that the Cooking is not an easy job. I have to say those who do not know anything about cooking... just try it..may be u need 2-3 chances and keep on try it, then you will be a super chef. 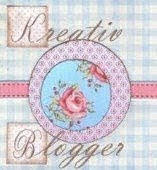 Nithu's Kitchen: What inspired you to start a blog? 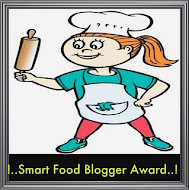 Prani: When I came to know about Blogging I thought of sharing my cooking thoughts and experiments with the people around the world those who love cooking. Nithu's Kitchen: Which is your family's favourite food? Prani: Our favourite is Kappa and meen curry(Tapioca and Fish curry) - It is a Kerala dish. Nithu's Kitchen: Why did you select this recipe today? Prani: I thought I can share one of our kerala style recipes...It is very simple but delicious recipe and hope everybody likes it. Step1: Slice the plantain banana veritcally into medium sized pieces . Step2: Make a thick batter of the flour. Add turmeric powder, salt and cumin seed in to it and mix well. Step3: Heat oil in a pan..
Step4: Dip the each banana slice into the batter and deep fry in the oil. Step5: Deep fry both sides. Step5: Remove from the oil when they start turning golden brown color (You can use kitchen tissues to remove the excess oil). Serve it hot. Have it with hot tea...a best snack for the evening tea. Nithu's Kitchen: Thank you Prani. We enjoyed talking to you. 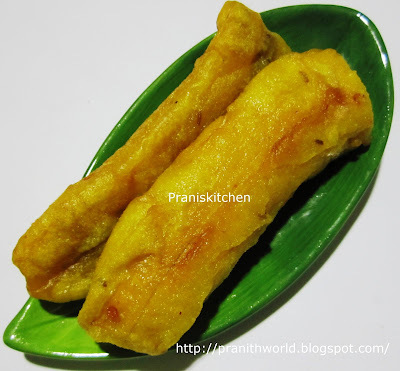 Dear Friends, hope you love Prani's Pazham Pori recipe. 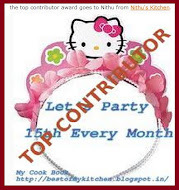 If you are interested to be featured as our guest, please do mail to Nithuskitchen@gmail.com. Fabulous Plantain Fritter. Looks great. Great to know about Prani and her travel experiences as well. Hey Prani, It was nice to know about you. Fritters look yummy and tasty.... Keep it up Nithu!! Great post Prani and Nithu..travel experience, always teaches us something!! Plantain Fritters looks tasty!! A very pleasant interview. Got to know more abt Prani and her experiences. Thanks Nithu for this wonderful idea. Appam looks delicious. Plantain fritters looks fantastic, read ur trip experience, well if we would have met already, i would have helped u here in Paris, but its k..u know u have someone here in Paris to help u..
Glad to know prani's space through u Nithu..will visit here..
Great post indeed..Pazham pori looks delish...Good to read about you prani..
Nice guest post and a novel recipe Nithu! Prani ..it was nice knowing more about you..pazham pori looks terrific...yummy!!! Nice guest post, Prani good pazham pori and nice to know about you. Great looking pazham pori! It was nice knowing about Prani and her experiences..Good job Nithu! 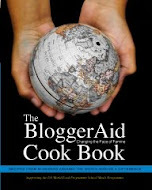 Great idea to know about the fellow bloggers..the recipe is nice too! 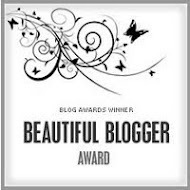 You got a lovely blog Nithu! pazham pori is our all time fav evening snack... nice guest post..
Pazham pori looks yummy. I love it. My state food. I like it. Thanks for sharing and nice recipe,nice post..
Its very nice to know more about Pranith. Keep it up Nithu. Good job. The Pazham pori looks tempting.